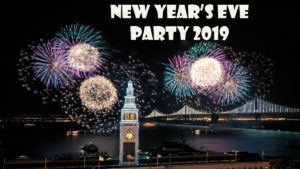 One of SF’s finest establishments invites you, your friends and teammates to party together at the world-renowned Kells on New Year’s Eve! Get ready to be enchanted and amazed by the New Year’s Eve ambiance and splendor of Kells Irish Bar! Enjoy top-shelf fun and quality drinks from 8pm-2am, including open bar starting with champagne reception along with the finest Jameson, tequila and craft beer. Tasty hors d’oeuvres will be served upon arrival and again after midnight. Plus party gifts! 2 levels of music and dance floors. Dress to impress! Limited number of tickets available!